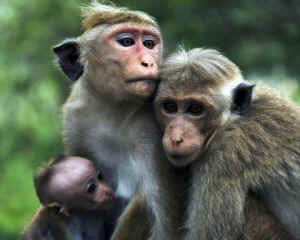 El Al, (the Israeli national airline), have finally won their long running court battle with Mazor Farm, (a monkey breeding facility in Israel), and have now confirmed to Gateway To Hell that they will not be transporting ANY laboratory animals after it was ruled that they have the right to refuse to transport primates destined for the research industry on moral grounds due to growing public opposition to the use of animals in research! Gateway To Hell originally agreed a policy with El Al that they would stop transporting ALL species of animals destined for the research industry in September 2010, following a brief campaign, but they have since had to fight a long legal battle with Mazor Farm to annul their contractual obligation to transport primates. However, El Al have now confirmed to us that they will not transport ANY animals of ANY species destined for the research industry, as originally agreed, following their successful 3 year long legal battle. This means that they have not only banned primates, but also dogs, cats, rats, mice and ALL other research animals from their planes! We know of one shipment of primates that was made by El Al following their ban, which was apparently a ‘mistake’ for which they later apologised, but as far as we are aware that was the only shipment of animals that El Al have conducted since introducing their policy in 2010. They had previously been transporting primates from Israel to the USA, with the animals from the shipment they flew by ‘mistake’ being delivered to the notorious SNBL facility in Everett, WA, via Los Angeles. Contrary to the claims currently being made by Mazor Farm during their legal battle, primates could still be flown out of Israel on Air France planes via Paris CDG, but this legal victory for El Al represents another significant blow to Mazor Farm’s chances of survival and further damages Bioculture’s ability to trade, (the Mauritian based primate breeders also having had a number of their other plans blocked, including a recent attempt to establish a primate breeding farm in Puerto Rico), and further reinforces the position that airlines can ban the transportation of laboratory animals on moral grounds. There are now only two passenger carrying airlines that are still involved in transporting primates for the research industry, (China Southern and Air France), of whom only Air France actually carries primates on the same planes as their passengers, (China Southern only transport primates through their cargo division, CZ Cargo), whereas Air France transport 2-3 shipments of primates a week on passenger aircraft to Paris CDG from Mauritius, as well as other shipments from the South East Asian region that are also transported on passenger aircraft. Despite this success, which was long expected given the previous statements from El Al on this issue and other legal precedents such as the one set by Air Canada’s, the struggle continues as animals are still being delivered to research laboratories and the campaign will continue until ALL lab animal transports are halted!